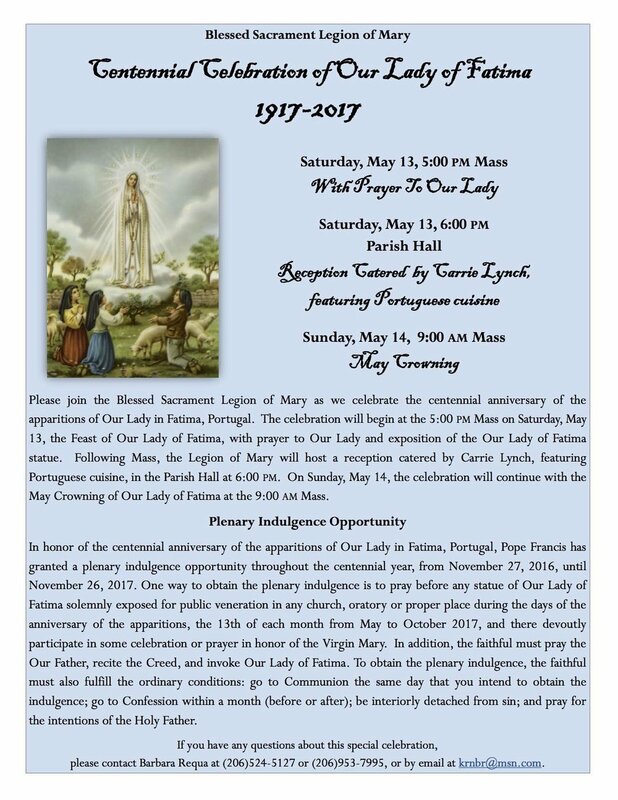 Join us for a special Centennial Celebration of Our Lady of Fatima, sponsored by the Legion of Mary. What a beautiful time to reflect on 100 years of Fatima and ask for the continued intercession of Our Lady! Click here to learn about the apparitions, message, and significance of Our Lady of Fatima and read on for details about our Blessed Sacrament Centennial Celebration.